Why some people have very clean desks? Is it in their personality? Or maybe they have too many free hours at work? Do they have little work? Are they productive and efficient? One thing is true about clean desk – it is clean! In 2010 Brother International conducted an interesting study: messy desks and time spent looking for hidden papers costs the country $177 billion annually. Minutes that are spent in searching for the misplaced items in annual estimation end up in about two weeks of working time a year. According to the study, nearly 1/3 of the workers didn’t receive the reimbursement of funds for their business trips only because these employees lost or couldn’t find the receipts. 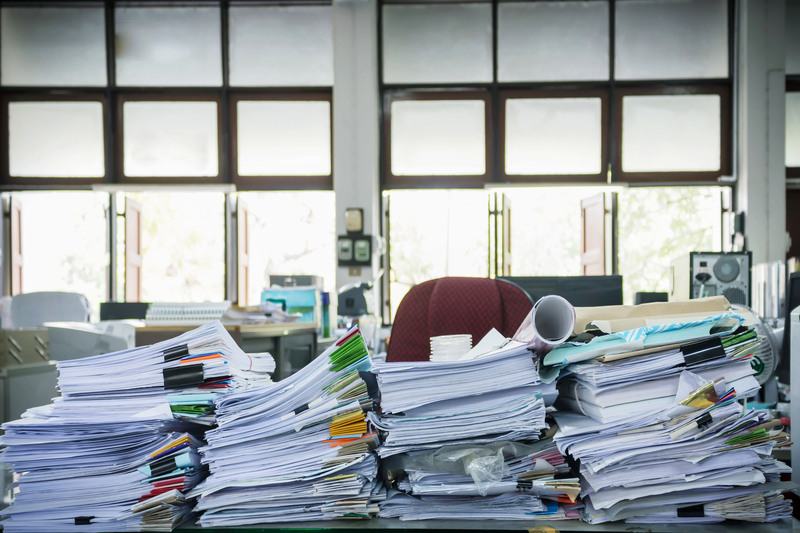 65% of respondents told that their desks were not organized. The main idea of getting organized is staying organized! It should become a habit of yours! Organizational experts say that it is very important to have place for every piece of paper, for every document. 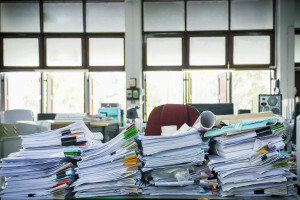 If you don’t have a place and a system of filing you will have a messy desk again and again. Experts are sure that clean desk will surely boost your efficiency and productivity. There are surveys that prove this. You can read about boosting of your productivity in our earlier articles. Of course, you won’t be able to create a completely germ-free surrounding for you, especially in the office. But experts recommend to be aware and to avoid the places in the office where the most germs and bacteria are accumulated. The reason, why a keyboard and a mouse are the dirtiest things, is simple, people just forget or don’t know how to clean them. You need to remember that you need to clean your keyboard and a mouse at least at the end of every week or it’s better to do on Monday before starting your work. Disinfect them using special wipes. Lots of things that you keep on your desk may be a haven for germs. What should be done? The answer is simple – CLEAN IT! Again use special disinfecting wipes. Experts recommend cleaning your desk as often as possible. Door handles or knobs act as magnets for germs and bacteria. Ask a cleaning crew to disinfect and clean not only the door handles but also doorframes of your office. Of course, office workers talk a lot on the phone. Studies show that more that 25, 127 germs and bacteria per square inch can be found on the average office phone receiver. Be sure to disinfect your phone as soon as you finish reading this article. You need to remember that lots of people use it and all of them leave bacteria and germs on the buttons of a copier. In order to avoid getting sick wear plastic gloves. Ridiculous? Yes…So, what should we do? 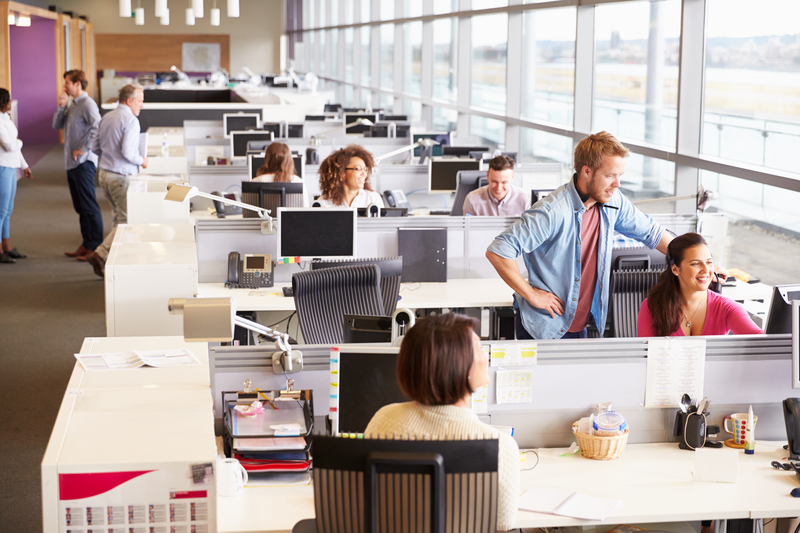 After using shared office equipment wash your hands with soap and warm water. Be healthy and think about your safety even at work! But it should be noted that all the computers become dirty as other things in our house and they require systematical cleaning. Usually we do not pay attention to the cleanness of the computer and eventually it becomes the dirtiest object in the house. Usually the dirtiest parts of the computer are the monitor, the keyboard and the mouse. In addition to the accumulated dust on these parts of the computer, you will also be able to see stains and fingerprints on the monitor, dirty and greasy stains on the mouse and lots of crumbs in your keyboard, etc. System unit starts to sound strangely because of the dust. If the above mentioned description reminds you of your computer, then you urgently need to clean your computer. Before cleaning the computer turn it off and disconnect from the power supply! In order to remove stains, use special screen wipes for the monitors or special chemicals that can be purchased at specialty shops. If you don’t have these special wipes, you can use an ordinary soft terry cloth. Moisten it with warm water and wipe the monitor. Do not wipe the monitor with material or solutions that contain alcohol, toluene, ammonia liquid or acetone. They will cause irreparable damage to the monitor. While cleaning of the keyboard, you can use a damp cloth, a vacuum cleaner or a hair dryer in order to blow out the crumps and the dust that were accumulated in it. If the vacuum cleaner doesn’t help, you will need to remove all the keys in order to clean the inside of the keyboard. It should be noted that you will need to remember where each key was located. We recommend taking a picture of your keyboard before you start cleaning it from the inside. It is the easiest part of the computer as for the cleaning. It can be cleaned with anything. Of course, you shouldn’t imbathe it with the water, because you will damage the device and will have to buy a new one. If the mouse has the roller, don’t forget to clean it. The most difficult thing to clean is the system unit. If you do not know what is inside the system unit and you have never cleaned it before, it is much better to step aside and to allow the professional to clean it. If there is no much dust in the system unit, you can blow it out with the help of the vacuum cleaner or a hair dryer through the holes in the computer casing. From the outside the system unit can be cleaned with the help of a cloth. Be careful with the wires that are connected to it. But if your system unit is filled with dust, your computer will work slowly, coolers will sound strangely and will poorly ventilate the most important parts of the system unit. Before you clean the system unit, make sure it is turned off and only then take the cover off. If there is much dust inside, then use a vacuum cleaner. You can also use a brush, but be careful using all the equipment for cleaning. Be sure to clean the coolers thoroughly and then apply machine oil for their better work. After cleaning you will enjoy the excellent work of the computer with computer pending. How often to clean your computer? At least once a week you need to clean the monitor, the keyboard and the mouse. As for the system unit, it should be cleaned at least once or twice in a year. If you are not sure how to clean your computer, our specialists will help you with this.